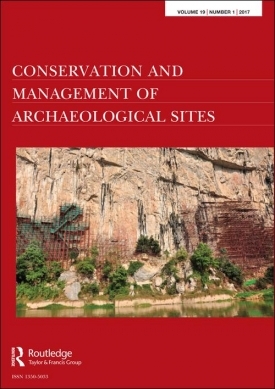 Journal summary: Conservation and Management of Archaeological Sites (CMAS) was launched in 1995 and focuses on both theoretical and practical issues in heritage site management and conservation. Peer-reviewed papers from around the world report on new thinking and best practice in site management and conservation. CMAS also publishes short comments, conference, book and website reviews, and lists relevant new publications. 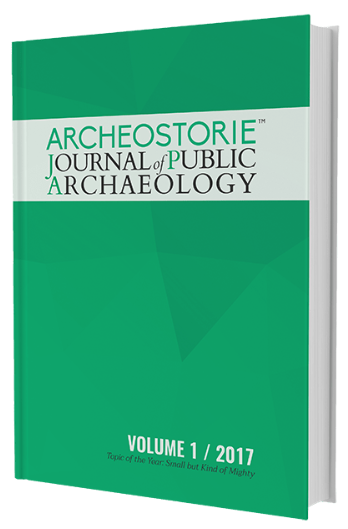 Journal summary: Archeostorie Journal of Public Archaeology (AJPA) is the open access peer-reviewed scientific journal that provides Italy with an arena to discuss issues such as the management and communication of heritage and the role of archaeology into contemporary society. It produces insightful analyses on significant initiatives aimed at involving the public in archaeological and heritage issues, and bridging the gap between our past and modernity. Furthermore, AJPA wants to encourage scientific debate on Public Archaeology as a discipline, and promote and coordinate related activities. It also aims to promote debate on the future of the profession, and specifically on whether public engagement in archaeological research can contribute to grant archaeologists a different, and hopefully more relevant, role in contemporary society. AJPA is published once a year, in Spring. Each issue has a Topic of the year session with papers that analyze a specific subject from several points of view, and a Satura Lanx session with papers beyond the main theme. 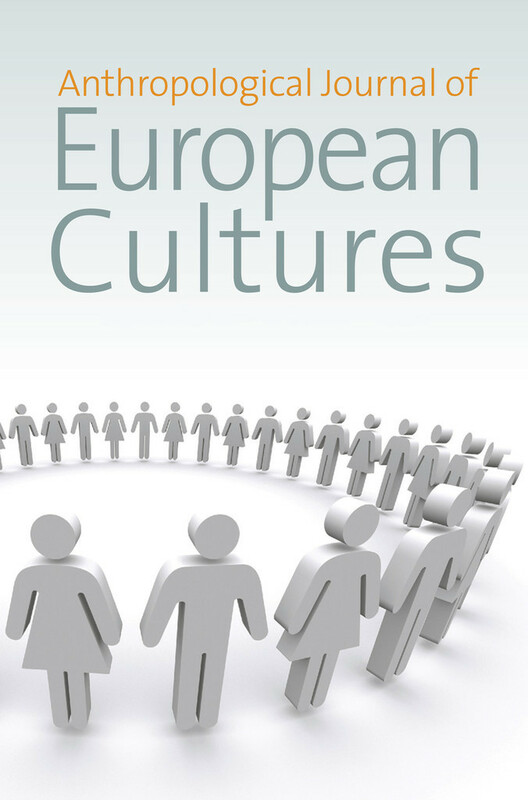 Journal summary: Published since 1990, Anthropological Journal of European Cultures (AJEC) engages with current debates and innovative research agendas addressing the social and cultural transformations of contemporary European societies. The journal serves as an important forum for ethnographic research in and on Europe, which in this context is not defined narrowly as a geopolitical entity but rather as a meaningful cultural construction in people’s lives, which both legitimates political power and calls forth practices of resistance and subversion. By presenting both new field studies and theoretical reflections on the history and politics of studying culture in Europe anthropologically, AJEC encompasses different academic traditions of engaging with its subject, from social and cultural anthropology to European ethnology and empirische Kulturwissenschaften. In addition to the thematic focus of each issue, which has characterised the journal from its inception, AJEC now also carries individual articles on other topics addressing aspects of social and cultural transformations in contemporary Europe from an ethnographically grounded anthropological perspective. All such contributions are peer reviewed. Each issue also includes book reviews and reports on major current research programmes. Journal summary: Advances In Archaeological Practice is a quarterly, full-colour, digital journal devoted to sharing creative solutions to challenges in the practice of archaeology globally. 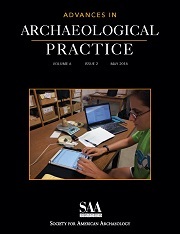 Advances in Archaeological Practice publishes original scholarly work on how archaeologists learn about the past, convey findings in the present, or manage resources for the future. Articles are short, succinct, and problem oriented offering tangible take-aways that can be applied quickly to the day-to-day work of archaeologists in academia, government, and private practice. “Practice” is defined broadly and topics can include, but are not limited to, innovations and best practices in technique, method, technology, business models, collaboration, compliance, process, ethics, public engagement, stewardship, and training. Two types of articles that are published: research articles and how-to articles. The journal also publishes digital reviews. Heritage by its nature is inter- and cross-disciplinary. Research across the spectrum of heritage interests can therefore be found in a wide range of academic journals, magazines, newsletters, grey literature and databases. Having started a running list of academic journals where I have encountered research particularly related to management of heritage, I have now reached almost 90. These range across the core subject areas one might expect, but where one is often most cognizant of journals in the field in which you have been trained and encultured, when one broadens the search parameters (made far easier with online library meta-searches these days), one can turn up relevant analysis in interesting locations and disciplines, and usefully see how other perspectives from publications with different foci deal with one’s ‘own’ subject matter. I have finally got round to editing the list, and curating it based on my experience of it yielding interesting material. It contains a range of journal types, which will be identified by peer-reviewed status or other, and also impact information where available. It will soon appear on a resources page on the blog, and I will try to keep it refreshed on an annual basis. In the meantime, the individual journals which have more than a smattering of heritage articles will be flagged up in some future posts to highlight the range of research resources out there. Further details about the event can be found in the press release. Heritage Futures will be discussing the RSA Heritage Network questions in the context of ‘Suffolk Diverse Heritage‘. Heritage in Suffolk is supported by two key bodies: the Suffolk Strategic Heritage Forum, and the Ipswich Heritage Forum. We will be considering the challenges facing heritage in Suffolk, and what we can do to support, conserve, develop and interpret heritage more widely across the county. There will be two short presentations: one on The Hold, the new heritage centre for Suffolk (funded by HLF), and the other on museums in Suffolk.